It is the mission of the Alabama Crime Victims Compensation Commission to provide timely and efficient assistance to innocent victims of violent crime in a confidential manner. The Commission primarily offers this assistance by providing eligible victims of violent crime with financial assistance for qualified expenses, while always being mindful that crime victims have the right to be treated with fairness, compassion and respect. The Commission also works in conjunction with others in the victim service community to advocate for victims’ rights and other related issues. The Mission of the Violence against Women Program (VAWP) is to coordinate comprehensive services and resources for the University that help to reduce offenses in the areas of sexual assault, domestic violence and dating violence and stalking. The trauma of a child being sexually or physically abused is more than any child deserves. Child Protect exists to minimize that trauma and help rebuild young lives shattered by child abuse. The Child Protect Children's Advocacy Center offers a non-threatening environment where a multidisciplinary team works together to minimize any further trauma during the justice and restoration process. The City of Montgomery is a strong supporter of ONE PLACE Family Justice Center and its mission. The City of Montgomery’s commitment to support the victims of sexual assault, domestic violence, child and elder abuse is unparalleled in the region. To change the way the world defines and views disabilities by making positive, profound differences in people's lives every day. For nearly 100 years, Easter Seals has been the indispensable resource for people and families challenged by disability. Now, as America faces a broad range of new issues, we make a major, positive, life—changing difference in the lives of people and families challenged by today’s disabilities. The work we do every day is redefining disability for the 21st century. Family Guidance Center of Alabama is dedicated to strengthening families through partnering with families, organizations, and communities and through the provision of an accessible comprehensive system of coordinated programs and services designed to enable people of all ages in Alabama to envision and achieve their goals. In 2007 The Montgomery County District Attorney's Office established a partnership with the Montgomery Public Schools (MPS) Superintendent to create HMFI with the support of government officials and community leaders. The partnership is a collaboration of local law enforcement, healthcare professionals, mental health, social services, faith-based organizations, juvenile justice agencies and other organizations with the primary focus of intervening in the lives of school children who have been suspended from school but not charged with a criminal offense. The Maxwell-Gunter Air Force Base - Family Advocacy Program is committed to the health and well-being of all military personnel and their families. As a witness for Jesus Christ, Medical Outreach Ministries exists to minister to the physical, emotional and spiritual needs of the medically under served by providing free healthcare services. 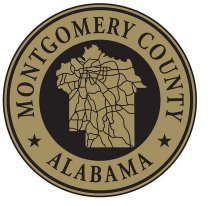 The Montgomery Area Council on Aging assists senior citizens by providing services to promote independent living, by offering opportunities to enhance quality of life, and by increasing community awareness of senior issues. The County of Montgomery is a strong supporter of ONE PLACE Family Justice Center and its mission. The County of Montgomery’s commitment to support victims of sexual assault, domestic violence, child and elder abuse is unparalleled in the region. The Montgomery County Commission provides the host location for ONE PLACE at 530 S. Lawrence Street, Montgomery, Alabama, as well as an abundance of additional support annually. The Montgomery County Sheriff’s Office is a strong supporter of ONE PLACE Family Justice Center. The Sheriff’s Office is committed to serving victims of sexual assault, domestic violence, child and elder abuse. Montgomery Fire/Rescue is committed to providing efficient, effective and professional public service to all residents and to those who work in and visit the Capital City. The department has garnered the well-deserved respect of the profession and continues to set the bar as a model agency. Each United States Attorney is the chief federal law enforcement officer of the United States within his or her particular jurisdiction. United States Attorneys conduct most of the trial work in which the United States is a party. The United States Attorneys have three statutory responsibilities under Title 28, Section 547 of the United States Code: a.) the prosecution of criminal cases brought by the Federal Government; b.) the prosecution and defense of civil cases in which the United States is a party; and c.) the collection of debts owed the Federal Government which are administratively not collectible. Victims of Crime and Leniency (VOCAL) was organized in 1982 to create a more balanced system. Somewhere along the way, victim’s rights across the nation, for all practical purposes were non-existent. The same system that victims expected to protect them was hampered due to the aggressive efforts to ensure the rights of the offenders were protected. Vocal’s goal has been to balance the scales of justice by giving crime victims those same rights rather than eroding the rights of the offender. The WellHouse provides a safe residential environment to sexually exploited women, offering spiritual, mental, emotional, and physical support services. The WellHouse welcomes all women who have been sexually exploited through human trafficking. Regardless of race, color, creed, or religion, women in pain can be assured they will find love and acceptance at The WellHouse.